Fiona's been having some trouble eating and it's been pretty stressful. We think we have narrowed it down to food allergies, but we are still waiting on the test results. In the meantime, I've been avoiding milk, eggs, gluten, soy, nuts and fish (plus a few others I am now starting to think are causing problems). Anyway, this doesn't leave me a lot of things to eat, so I've been getting creative. 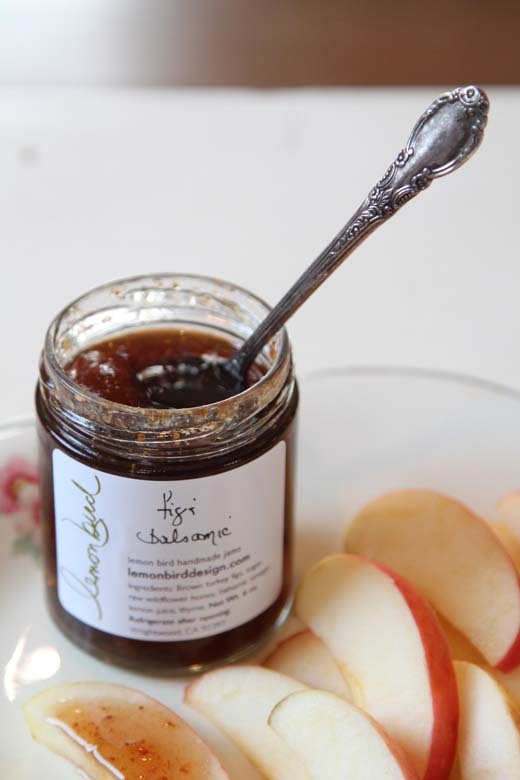 I have been snacking on this fig balsamic jam with pink lady apples in the afternoons lately. I bet it would go great with cheese and crackers, sadly I won't be trying that soon, but I may give it a try at a meat glaze. 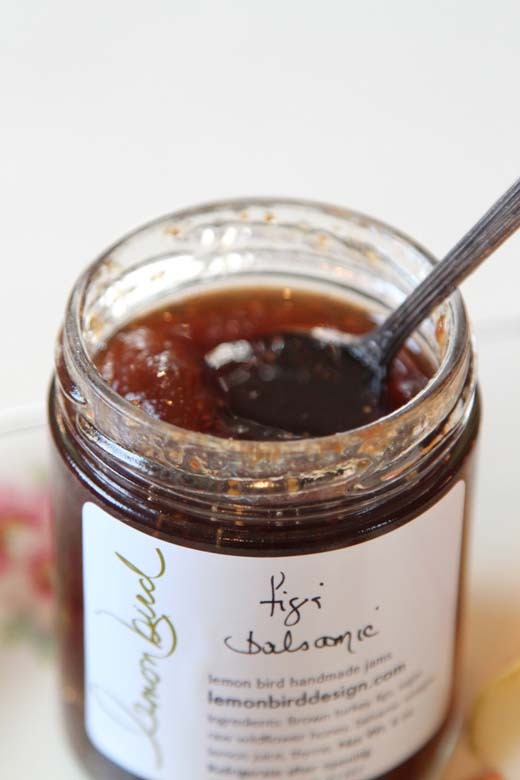 I bought the jam from Lemon Bird at Renegade Holiday. 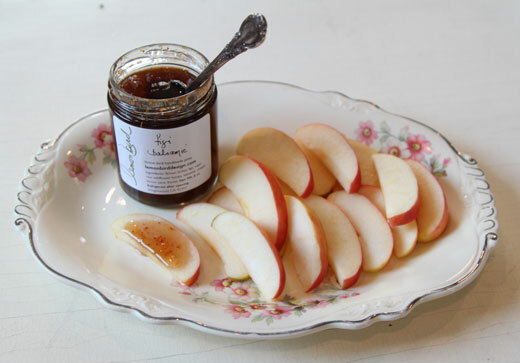 All of their jams are handmade using local seasonal fruits! They had some of the most delicious flavor pairings and a little tasting station, so one could try out their offerings. I'll definitely be going back for more! that jam sounds absolutely delicious. i'm definitely going to have to find something similar to it! I cut lots of things with my daughter, trying to figure out what was bothering her little tummy, too. It was hard at first, but it will get easier. In the end, we've stayed gluten-free, and we feel so much better. Good luck to you! thank you for the lovely post about the jam. I really appreciate it! I hope your daughter starts feeling better soon.